On the menu: Bottomless spritz happy hour at All-Purpose and Maydan’s Persian New Year. Toki Underground is celebrating its eighth anniversary with $8 classic ramen. Photograph by Marissa Rubenstein. It’s opening day for the Nationals on Thursday, who’ll face off against the Mets all weekend. Here are all the food and drink specials around the stadium for the opener, as well as our ultimate guide to eating and drinking around Nationals Park. Looking for great options during the game? There are tons of exciting new vendors this season. Peak bloom is Monday but you can get in the cherry blossom spirit all weekend long at seasonal pop ups like Drink Company’s cherry blossom PUB and the Japanese themed bar at Destination Wedding, Destination Osaka. Check out our Cherry Blossom Festival guide for a full lineup of events. Swap out post-work drinks for oysters at Big Bear Cafe’s Chesapeake Bay oyster happy hour on Thursday from 5 to 8 PM. Select two types of oysters for $2 each or $20 for a dozen. Fermentation fans can take a crash course in making kombucha at Union Market on Thursday from Craft Kombucha. The $50 ticket includes the class as well as a kombucha kit with a vessel, starter, and culture. Duos can purchase tickets for $80 a receive a single shared kit. Head to All-Purpose in Shaw for bottomless spritz happy hour ($19 per person) on Thursday and Friday from 5:30 to 7 PM. The spritz menu takes its inspiration from global destinations like Paris, Venice, and Lisbon. Little fish are having a big moment at Anchovy Bonanza on Friday in Shaw’s Mediterranean market, Green Almond Pantry. Chef Cagla Onal, an alum of Etto and 2 Amys, is pulling from her Turkish heritage to craft tapas showcasing the small, salty fish ($36 per person including beverage pairings). Welcome Falafel Inc. to the Wharf on Sunday with a free falafel bowl or sandwich for the first 100 guests. Can’t make it in time for the pro bono bowls? Profits from purchases made on opening day will be donated to the World Food Program. The Washington Post’s recipe editor, Bonnie Benwick, is taking her weekly series “Dinner in Minutes” off the web and into the kitchen on Saturday at the Hill Center near Barracks Row. For $85 per person, learn how to throw together weeknight dinners like sesame salmon kebabs and roasted pepper orzo soup. 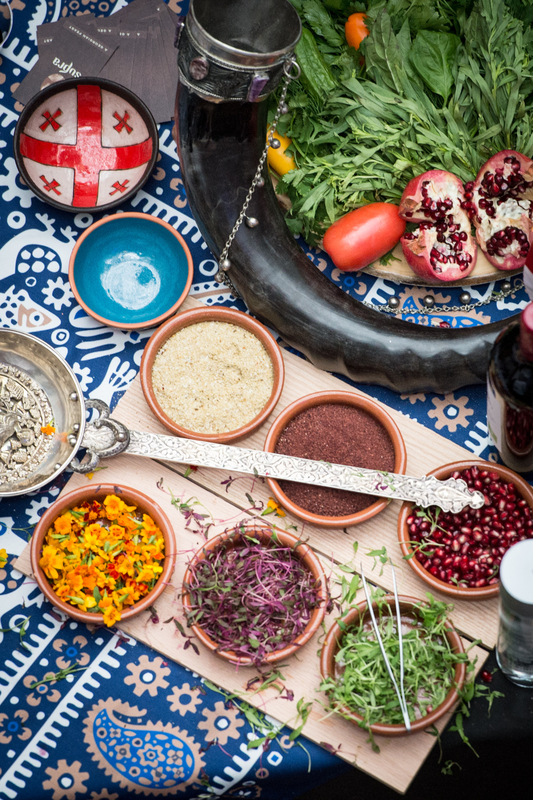 Celebrate Persian New Year, also known as Nowruz, at Maydan on Sunday at 3 PM. The kitchen is welcoming two big-name cookbook authors as guest chefs for the evening: Louisa Shafia of the New Persian Kitchen and Najmieh Batmanglij of Cooking in Iran: Regional Recipes and Kitchen Secrets. Special guests include Jason Rezaian author of Prisoner: My 544 Days in an Iranian Prison. Online tickets ($175 per person) are all-inclusive. You don’t need to call a babysitter to enjoy brunch at Spanish restaurant SER on Sunday. While parents dine on eggs Benedict and avocado toast, kids of all ages can enroll in a cooking class starting at 12:30 PM. The course is complementary with the purchase of brunch. More than 15 embassies are participating in the Embassy Chef Challenge. Photo courtesy of the Embassy Chef Challenge. Forget birthday cake, Toki Underground is commemorating its eighth birthday on Monday with bowls of ramen. The H Street ramen shop is serving up their classic ramen for a discounted $8 at lunch and dinner. The 11th annual Embassy Chef Challenge is on Tuesday, with live music and dishes representing more than 15 participating embassies. In the past, guests have been able to sample Jamaican jerk chicken, ceviche from Peru, and Ghanian jollof rice. Tickets are $95 for general admission and $160 for early entry and entry to the VIP lounge.